After debuting its first advertisement campaign during the 2010 Super Bowl, Unilever's Dove Men+Care will make its second appearance in the upcoming game hosted in Glendale, Ariz.
Five years ago, Dove Men+Care launched the brand with a campaign encouraging men to "be comfortable in your own skin," including a minute-long ad that rattled off a long list of expectations that guys are held to while growing up. The decision to run another ad in the 2015 Super Bowl stems from research backing up the brand's goal of challenging typical macho stereotypes in advertising. Before launching at the 2010 game, the packaged-goods brand found that 73 percent of men believe they are falsely depicted in advertising. "Fast forward five years later, we want to go back to the Super Bowl and continue that conversation…to celebrate the multidimensional aspects of masculinity that define what it means to be a man today," said Jennifer Bremner, director of marketing at Dove Men+Care. Bremner couldn't confirm the ad's length or creative content, or during which quarter of the game it will run, but she said the spot builds on the 2010 ad's theme. "As a brand, we're committed to showcasing real men in their lives, so it will be in line with that," she said. Dove Men+Care will also make a hefty social media push for its Super Bowl campaign with a mixture of planned and real-time marketing. 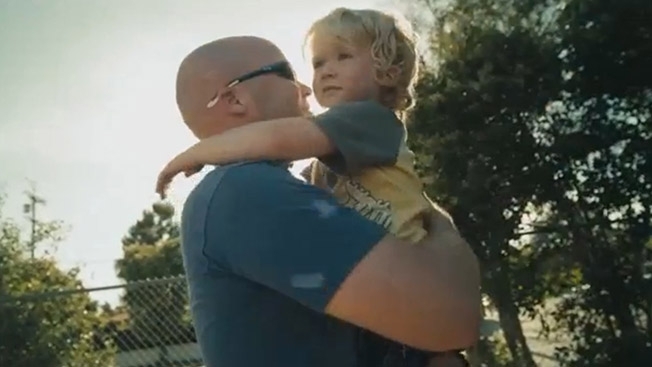 As an example of the planned social posts, Dove Men+Care ran a campaign earlier this year called "Real Dad Moments," which asked men to share real-world examples of being a dad. "There are certain things that you can predict and we can be prepared [for] because we're really clear on what our brand is about. Then there's a level of flexibility you want to have during the course of the game so that you can engage in a conversation if it is appropriate to what you as a brand stand for," Bremner said. To help orchestrate some of that content, Dove Men+Care is considering setting up a social media command center, much like Anheuser-Busch will do. Dove Men+Care is also still a relatively new brand, so the focus on social is meant to build brand awareness beyond the traditional TV spot. "Dove Men+Care is a brand that's really about talking to men and challenging stereotypes," Bremner said. "Social gives us an opportunity to extend the conversation that we hope to start and spark on the Super Bowl."